A Nigerian lady has revealed how she used a ‘fake pregnancy’ to get what she wants. 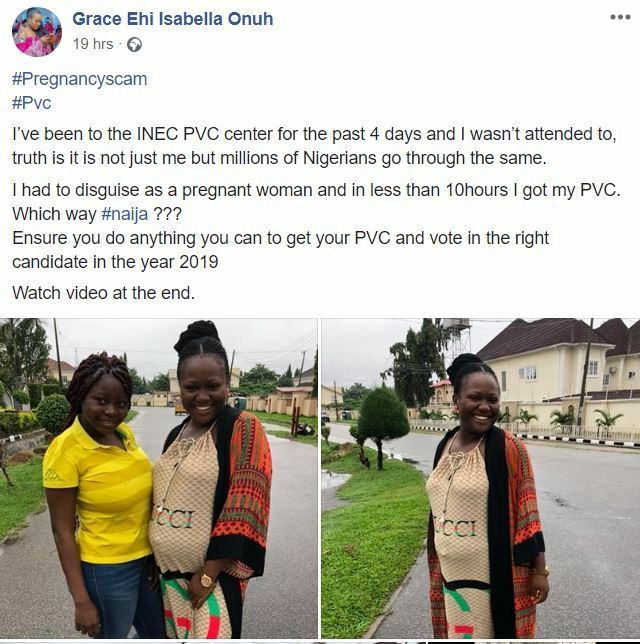 Identified as Grace Eli Isabella Onuh, she took to her Facebook page to reveal how for about 4 days she’s been going back and forth INEC PVC Center without being attended to.. But then, she decided to become smart by feigning pregnancy. I had to disguise as a pregnant woman and in less than 10hours I got my PVC. Which way #naija ??? 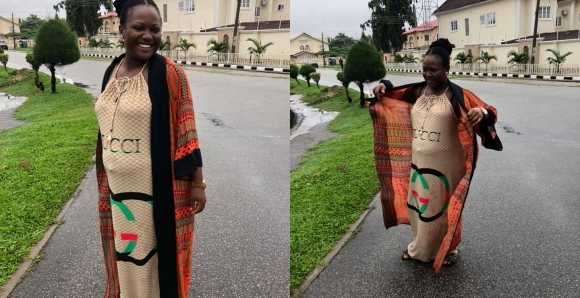 0 Response to "After Five Failed Attempts, Nigerian Lady Disguises As A Pregnant Woman To Get Her PVC Fast (Watch)"